The weekend is halfway done. Hopefully you got a chance to get some gaming in, or will be doing some today. I've got some photos of minis to take. Or at least, that's the plan. We'll see if that actually happens, what with other various whatnots to attend to on a weekend such as this. Anyway, here's some more bite-sized stories to nibble on while you do your Sunday thing. 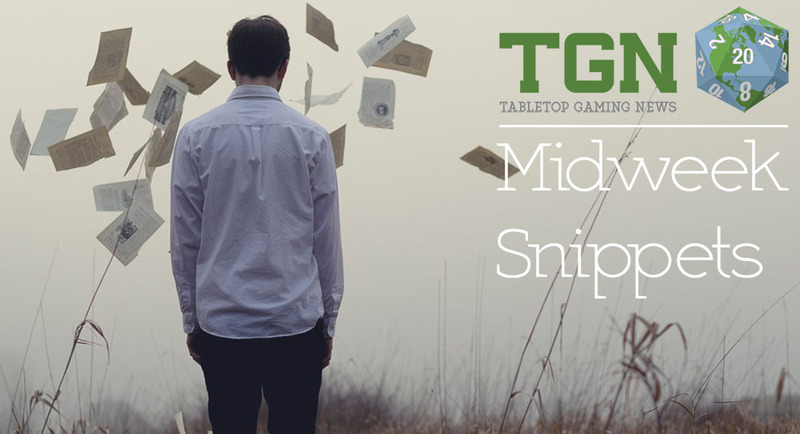 In this batch, we've got: Several more editions of The Fiver from The Meeple Mechanic, New 15mm Terrain from Tabletop-Art, Stretch Goal Unlocked and new Add-On From Acheson Creations, Mad Robot Releases Command Squad Parts, and New Cave Maps Available from Heroic Maps. 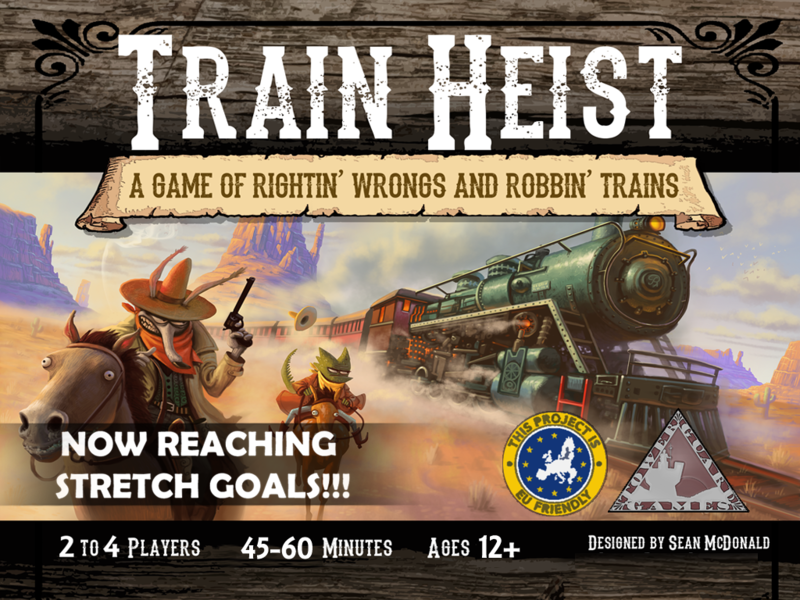 Acheson Creations has reconfigured their Kickstarter's stretch goals in order to get them to closer to their current pledge totals, meaning the ability to get them unlocked is right within reach. With just a few more pledges, they should be able to make it through the first of them. They've still got 11 days in which to make it through as many as possible. 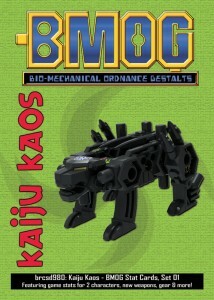 Bailey Records has released the rulebook for their Kaiju Kaos miniatures skirmish game. You can get it in pdf or softcover (or both, if you want). The modern world as we know it ceased to exist in 2003 when the Rift, a mysterious tear in the space-time continuum, opened up and Hell itself spewed forth onto planet Earth. Long-dormant arcane powers and abilities once believed to be myth suddenly manifested in unsuspecting hosts, while those apparent charlatans who truly had a finger on the pulse of the supernatural unknown found their powers doubled or tripled in strength. Creatures that go bump in the night and ancient deities reappeared around the globe to spread terror and destruction. Terrible, enormous, 50-foot-tall monsters with feet the size of automobiles emerged from the oceans, crawled out from crevices, or arrived from outer space for reasons unknown. 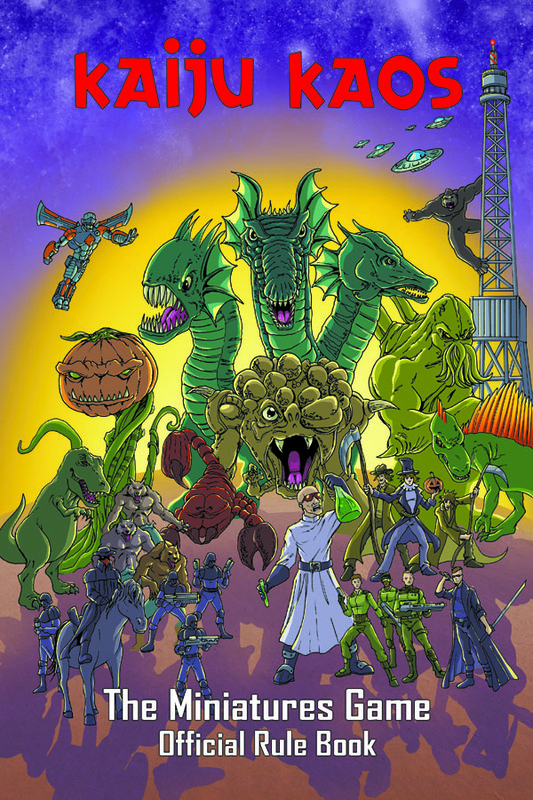 The United Nations formed an elite unit of the best and brightest soldiers and Specialists from around the world to answer this new Kaiju threat. Meanwhile, greed, corruption, and curiosity drove others to arms in an effort to harness the powers awakened by the Rift and cause further chaos while positioning themselves in places of power. Still others suffered such personal loss that vengeance became their only motivator in entering the fight. And others were driven by belief and conviction, the elements of their faith rejuvenated by the powers unleashed by the Rift. Now, we stand poised on the edge of extinction. A new status quo must emerge, for the very survival of the human race hangs in the balance. Acheson Creations expands their Kaiju Kaos line with the release of Line Drive. Acheson Creations is pleased to release this latest addition to our popular collection of Kaiju Kaos characters.Priced at $4USD (unpainted) and in 1/56 scale, this Special Missions Force soldier is sculpted by Fiendish Fabrications and is now available through our website. Acheson Creations gives you a new release for Kaiju Kaos in the form of Ghost Ghoul. Priced at $8USD for an unpainted figurine, originally sculpted by Ean Moody, A Ghost Ghoul is an undead Kaiju. Ghost Ghouls are often found consuming human flesh in graveyards or in deserts. Desert-dwelling Ghost Ghouls are shape-shifting demons that can assume the guise of an animal, usually a hyena. They lure unwary people into the desert wastes or abandoned places to slay and devour them. The creatures also prey on young children, drink blood, steal coins, and eat the dead, and then take the form of the person most recently eaten. 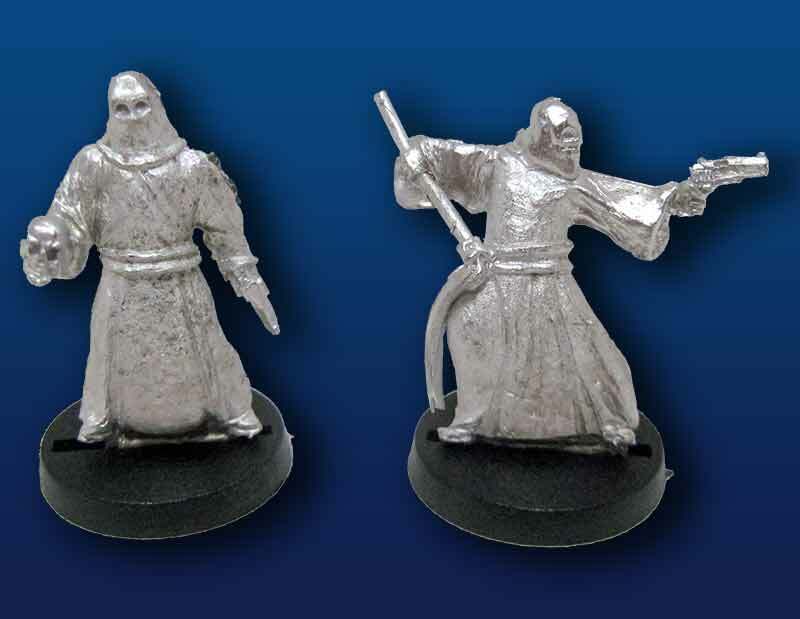 The Ghost Ghoul is designed for play with other 28mm (1:56 scale) gaming miniatures and feature a slotta tab requiring a base (not included). Acheson Creations released the newest in the Kaiju Kaos family of characters - Cultists of R’lyeh. From all ends of the Earth, the Cultists of R’lyeh have been devote believers of Cthulhu for millennia. When the Rift awoke their god, tens of thousands of Cultists threw off their secrecy and began unquestioningly aiding the Eldritch Horrors in various battles against all who stand in their way. Every Cultist of R’lyeh is willing to lay down his or her life for Cthulhu. 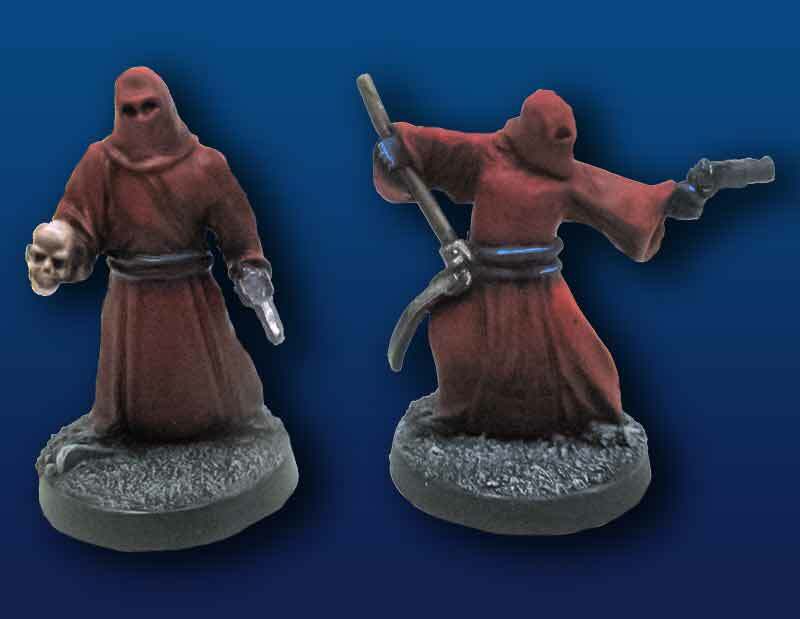 This pack includes two different sculpts; one with skull and pistol, the other with scythe and pistol. 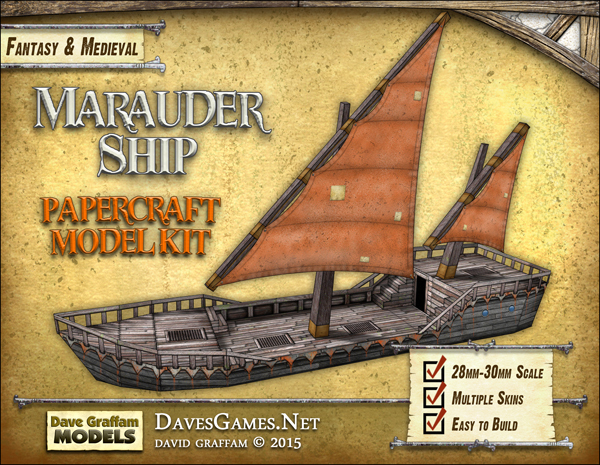 Both are designed for play with other 28mm (1:56 scale) gaming miniatures and feature a slotta tab requiring a base (not included). Bailey Records has set 3 of their BMOG stat cards now available in .pdf. 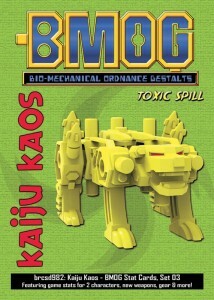 Bailey Records now lets you use your BMOG toys in Kaiju Kaos with the release of these new stat cards. 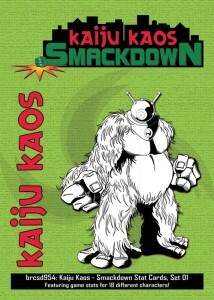 Bailey Records has released their Kaiju Kaos Smackdown Stat Cards Set 1 for your downloading and playing pleasure. Hello. I'm pleased to announce the next Kaiju Kaos release from Bailey Records, Kaiju Kaos: Smackdown Stat Cards, Set 01 by Bryan K Borgman (aka Stratos). Acheson Creations has a new Kaiju Kaos mini available over in their webshop. This one's Naja Bhoot. "Of all the mercenaries employed by the sultanates of southern India, Naja Bhoot, the Serpent Ghost, is the most relentless. A man shrouded in mystery, Bhoot was imprisoned on genocide charges but escaped to Bijapur. While wreaking havoc throughout that region, Bhoot caught the steely eye of the COIL. Bhoot's propensity for coordinating lightning terror strikes with religious indoctrination made him a perfect candidate for executing COIL / Beng-Arii Syndicate operations in the area, a role he eagerly fulfills. Acheson Creations has some new zombie abominations and Kaiju now available over in their webshop. "For unknown reasons, some creatures infected by Serum Z evolve beyond “typical” walkers and biters. These evolutionary mutants are known as Z-bominations. They often have limbs of unnatural length or weapons grafted into their decaying flesh. Many Z-bominations exhibit heightened special abilities, and some have natural weaponry such as acid or poison breath and large, bony spikes. Z-bomination Soldiers Packs are “Undead” conversions of other Kaiju Kaos miniatures. 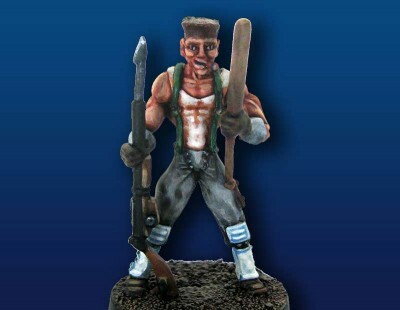 These models require a slotta base for deployment (not provided)." Acheson Creations made it to their funding goal and has also broken through some stretch goals in these, the final days of their Kaiju Kaos: Smackdown Kickstarter. Only a little time left to get in on the action. We did it! Acheson Creations and Bailey Records are proud to announce that not only have we met our original goal for our Kaiju Kaos: Smackdown Kickstarter, but we've already unlocked the first two Stretch Goals and we're well on our way to unlocking another. I would like to thank everyone who has currently pledged toward this project and also to all the fantastic news sites, blogs, Facebook pages, etc. - without you this wouldn't be possible. So what's next? Well we still have until 3:30pm Eastern on Wednesday, February 12th to receive more pledges. 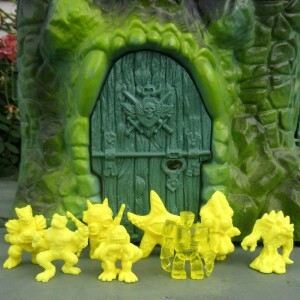 Currently, everyone who pledges at least $10.00 will receive one (1) figure of their choice in a Vivid Slime green resin. There are now 13 different characters to choose from. 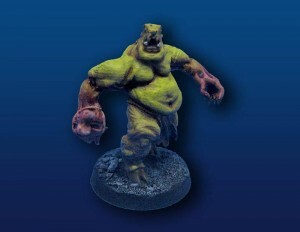 In addition, they'll receive one (1) Cryos the Ice Monster transparent Vivid Slime green figure (unlocked when we hit 50 backers), and everyone will receive complete game stats for all 14 characters as a PDF from WargameVault.com. They've got a week left and are getting ever-closer to their goal. Hello! We're very close to funding this project but things seemed to have stalled a bit these last few days so I wanted to share Stretch Goal #2 with you as a potential enticement...The second Stretch Goal minifigure is Wraith the Undead by Jimmy Rommel of Ironhaus Productions. Wraith is part of the Serum Z Zombies faction led by AnCon Annie. One goal, when I set out to create Kaiju Kaos, was to make a truly playable zombie faction and not use them simply as objectives or terrain in a scenario. Wraith, the character, is inspired by bio-weapons in the Resident Evil franchise while the sculpt is pure Ironhaus! Acheson Creations continues to get closer and closer to their funding goal for their Kaiju Kaos: Smackdown Kickstarter campaign. They've got another pair of Kaiju Bios they're showing off. As mentioned in Update #5, the first "designer toys" I ever bought was a set of Nuked! minifigures by Steven Patt of Papagrim Toys. 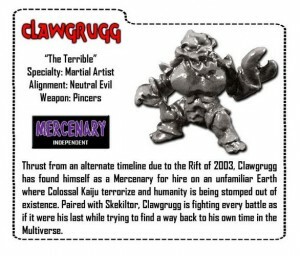 That set included both Clawgrugg and Skekiltor. I'm excited to announce that both of those characters are now officially part of Kaiju Kaos: Smackdown. In addition to Clawgrugg, today's Order of Battle spotlight's Ro-Mon XJ-2 sculpted by Danny Samuels. Ro-Mon XJ-2 is inspired by the horribly classic movie, "Robot Monster" from 1953 which is now in the public domain. Ro-Mon XJ-2 is a Mercenary avatar of the Planet Devourer. Acheson Creations has another pair of bios for their Kaiju Kaos Kickstarter posted up. These are Mothman and Skekiltor. 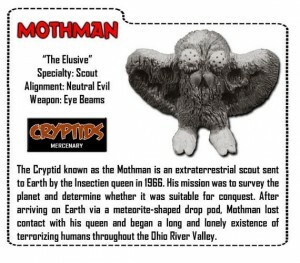 My favorite cryptid is the Mothman... I suppose it has something to do with living in Central Ohio and not too far from Point Pleasant, WV. I was very excited to have Lee Burbridge of BigManToys sculpt one for Smackdown and I think he did a fantastic job... especially on the backside! Check out that detail. Today's spotlight is also on Skekiltor by Steven Patt of Papagrim Toys. The first "designer toys" I ever bought was a set of Nuked! minifigures by Steven that included both Skekiltor and Clawgrugg. I'm excited to announce those two characters are now officially part of Kaiju Kaos: Smackdown. Acheson Creations has made it to more than 2/3 their way to their funding goal for their Kaiju Kaos: Smackdown Kickstarter. 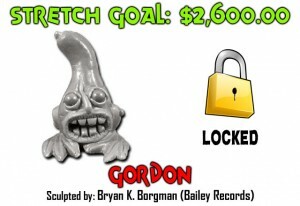 As such, they've started showing off stretch goals, posting the first one up. Hello! We're at 70% funded in our first 7 days and we still have 18 days to go until our deadline. Since we're so close to our initial goal of $1,800.00, I have decided to share with you information on our first Stretch Goal instead of the regularly scheduled Order of Battle update (don't worry. that'll post in due time). 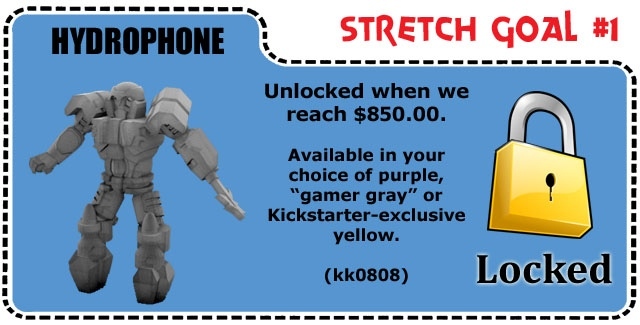 So, without further adieu, the first Stretch Goal minifigure is Bokrsat the Treacherous by Bryan K. Borgman (aka Stratos... aka, ME!). Bokrsat is a Gug and is part of the Eldritch Horrors faction (Optithulhu, Nyarlathotep, Bothrea the Tentacle Monster, and of course Cthulhu!). Gugs have been part of the Kaiju Kaos mythos since its inception and were created by H.P. Lovecraft way back in 1926! Acheson Creations is showing off another pair of bios for the creatures in their Kaiju Kaos Kickstarter campaign. Plus, they've got a free song you can download as well. Hello and welcome to all the new backers that have pledged since the first Update was posted. We're currently at 61% of our goal! Thank you! As you can tell, today's spotlight is on the two Everfolk members Orcco and Hemlock. Lastly, as the promotional video mentions at the end, the song "This is Smackdown" by Stratos (that's me!!) is available as a FREE mp3 download at WargameVault.com. You will have to create an account to obtain your free copy but it's worth it because I have other freebies up there PLUS you'll need an account when this project is over to download your FREE Kaiju Kaos: Smackdown stat sheets PDF (if we fund). Acheson Creations has posted their first update for their Kaiju Kaos Kickstarter, showing off a couple of the minis. Hello! 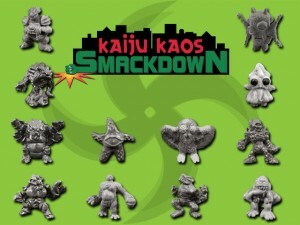 Welcome to the Kaiju Kaos: Smackdown Kickstarter. I'm humbled that you're here and I'm excited to announced that we're already 50% funded in just the first 48 hours! Thank you! So here we are with the first scheduled update... the first Order of Battle. As a child of the 80s, I fondly recall the GI Joe Order of Battle comics and Transformers Universe comics that expanded the biographical info we knew and loved about our favorite heroes and villains. Since Kaiju Kaos: Smackdown is both a game and cool figures, my intent is to send out regular updates spotlighting each of "The Twelve" (plus Stretch Goal) characters as we journey across the next 22 days together. In addition to the character biographies, I will include News & Views whenever needed. Supporter Toy203 requested more photos from different angles of the characters. Below is the backside of both Sauro the Vile and Optithulhu the Eldritch Horror. Acheson Creations has launched their Kickstarter campaign for their new Kaiju Kaos: Smackdown set. Go check it out. Celebrating our 1st Anniversary by offering 12 different resin minifigures cast in a Kickstarter-exclusive Vivid Slime green colorway. Bailey Records will release some custom, limited edition, painted versions of various Kaiju Kaos minis over in their webshop this evening. On Sunday, January 12th at 9pm Eastern, I am releasing custom painted resin minifigures from Kaiju Kaos... Shima the Mercenary and Earwig the Insectien. Each custom is one of a kind and only $10 plus shipping. Shima the heroic Mercenary from beyond the stars was sculpted by Super_SandBagger (JR Deem) and produced by Sandtastic Art & Toys for use in Kaiju Kaos: Smackdown. Shima journeyed to Earth to warn humanity about the coming Planet Devourer! She can often be found on the battlefield assisting Special Mission Force againt the forces of evil! Earwig the villainous Insectien was sculpted by Steven Patt and produced by Papagrim Toys for use in Kaiju Kaos: Smackdown. Earwig is a member of the Insectiens faction. Custom painted figures provided by: Clawfreak, Ersico, Evilos, Mark Nagata, and Super_SandBagger. Bailey Records will be running their Zombie Week promotion for Kaiju Kaos over in their webshop starting tonight. On Sunday, December 15 at 9:00pm Eastern, we'll be opening the floodgates and unleashing freshly painted undead minifigures on the masses! 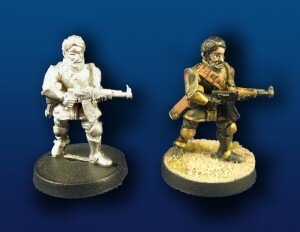 Also along for the ride are brand new, unpainted 28mm metal gaming miniatures and we've slashed prices on all of our licensed game soundtracks! Previews of all items are now available on our website.